This policy covers how Ram Fixture treats personal information that Ram Fixture collects and receives, including information related to your past use of Ram Fixture products and services. Personal information is information about you that is personally identifiable like your name, address, email address, or phone number, and that is not otherwise publicly available. This policy does not apply to the practices of companies that Ram Fixture does not own or control, or to people that Ram Fixture does not employ or manage. 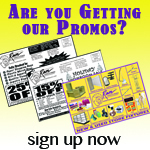 Ram Fixture collects personal information when you register with Ram Fixture, when you use Ram Fixture products or services, when you visit Ram Fixture pages or the pages of certain Ram Fixture partners, and when you enter promotions or sweepstakes. 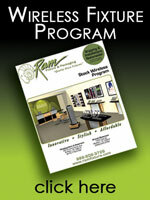 Ram Fixture may combine information about you that we have with information we obtain from business partners or other companies. When you register we ask for information such as your name, email address, birth date, gender, zip code, occupation, industry, and personal interests. 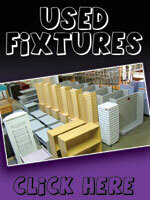 Once you register with Ram Fixture and sign in to our services, you are not anonymous to us. 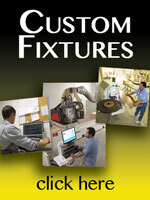 Ram Fixture collects information about your transactions with us and with some of our business partners. Ram Fixture automatically receives and records information on our server logs from your browser, including your IP address, Ram Fixture cookie information, and the page you request. Ram Fixture uses information for the following general purposes: to customize the advertising and content you see, fulfill your requests for products and services, improve our services, contact you, conduct research, and provide anonymous reporting for internal and external clients. We provide the information to trusted partners who work on behalf of or with Ram Fixture under confidentiality agreements. These companies may use your personal information to help Ram Fixture communicate with you about offers from Ram Fixture and our marketing partners. However, these companies do not have any independent right to share this information. Ram Fixture displays targeted advertisements based on personal information. Advertisers (including ad serving companies) may assume that people who interact with, view, or click on targeted ads meet the targeting criteria - for example, women ages 18-24 from a particular geographic area. 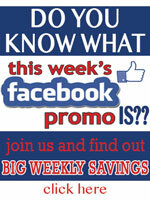 Ram Fixture does not provide any personal information to the advertiser when you interact with or view a targeted ad. However, by interacting with or viewing an ad you are consenting to the possibility that the advertiser will make the assumption that you meet the targeting criteria used to display the ad. Ram Fixture advertisers include financial service providers (such as banks, insurance agents, stock brokers and mortgage lenders) and non-financial companies (such as stores, airlines, and software companies). Ram Fixture may set and access Ram Fixture cookies on your computer. Ram Fixture lets other companies that show advertisements on some of our pages set and access their cookies on your computer. Other companies' use of their cookies is subject to their own privacy policies, not this one. Advertisers or other companies do not have access toRam Fixture's cookies. Ram Fixture uses web beacons to access Ram Fixture cookies inside and outside our network of web sites and in connection with Ram Fixture products and services. We limit access to personal information about you to employees who we believe reasonably need to come into contact with that information to provide products or services to you or in order to do their jobs. We have physical, electronic, and procedural safeguards that comply with federal regulations to protect personal information about you. Your Ram Fixture Account Information is password-protected. In certain areas Ram Fixture uses industry-standard SSL encryption to protect data transmissions. Ram Fixture may update this policy. We will notify you about significant changes in the way we treat personal information by sending a notice to the primary email address specified in your Ram Fixture account or by placing a prominent notice on our site.